At Star Mountain, Stephan Connelly is involved in all aspects of the firm’s investment and portfolio management activities in addition to business development and investor relations efforts. 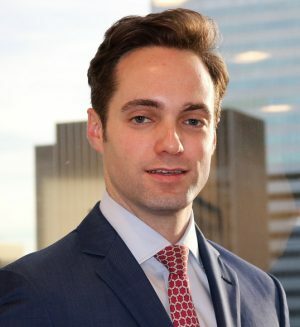 Prior to joining Star Mountain, Mr. Connelly was a Senior Associate on the investment team with Newbury Partners, a private equity firm specializing in acquiring buyout, venture capital, special situations, mezzanine and fund-of-funds limited partnership interests in the secondary market. During his time with Newbury, he worked on deal teams which invested over $300 mm in aggregate across various funds, strategies, industries, and geographies. Transactions involved fund restructurings as well as individual or portfolios of limited partnership interests within funds focused on North America, Europe, and Asia. In addition, he worked on co-investments alongside independent and funded sponsors focused on growth companies within the lower middle-market in North America and Europe. Prior to Newbury, Mr. Connelly was an Associate in the Financial Instruments, Structured Products, and Real Estate Group (“FSR”) at PricewaterhouseCoopers where he provided services to clients focused on student loans, RMBS/CMBS, auto loans, credit card receivables, and commercial loans and bonds. In addition, previously Mr. Connelly interned with LBC Credit Partners where he assisted in the diligence of potential credit investments within middle-market companies. Mr. Connelly graduated with a Masters of Accountancy from Villanova University and a BS in Finance from The McDonough School of Business at Georgetown University. Mr. Connelly is a member of the New York Society of Security Analysts (NYSSA) and is a Chartered Financial Analyst charterholder.